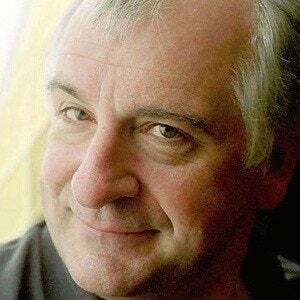 English author of the popular science fiction series The Hitchhiker's Guide to the Galaxy, which originated as a BBC radio comedy. His other works include The Long Dark Tea-Time of the Soul (1988) and The Meaning of Liff (1983). He attended The Brentwood School, a prestigious preparatory academy, and went on to study English at St John's College, Cambridge. Following his graduation, he moved to London to pursue a career in television and radio writing. He was a self-proclaimed atheist. He and his younger sister, Susan, were the children of Christopher and Janet Adams. He married Jane Belson in 1991, and the couple welcomed their daughter, Polly, in 1994, less than a decade before Adams' untimely death from a heart attack. He studied piano with Denny Laine, the pianist for Paul McCartney's post-Beatles band Wings.